America’s Cup: The world’s premier sailing circuit arrives in Portsmouth for the 35th America’s Cup. The oldest major trophy in sport is coming to Portsmouth, off the back of an incredibly successful and dramatic outing in the 2013 America’s Cup. Team USA launched one of the most improbable comebacks in the history of sport in dramatic fashion, reversing an 8-1 deficit to win 8 races in a row to claim the Auld Cup 9-8. For this year’s America’s Cup, there is the added significance of the first British team to contest the America’s Cup on home waters since the competition’s inception in 1851. The best in the sport are taking part, including the most successful sailor in Olympic history: Great Britain’s own Ben Ainslie. He will hope to inspire the Land Rover Bar Team to victory, to claim the 163 year old Cup Great Britain have never managed to win. Ben Ainslie has a superb record in the Cup – last time out he clinched victory, acting as Oracle Team USA tactician in a dramatic outing for the America’s Cup. This time he will be representing Great Britain, and the home crowd will hope he will be able to repeat similar heroics. Event! 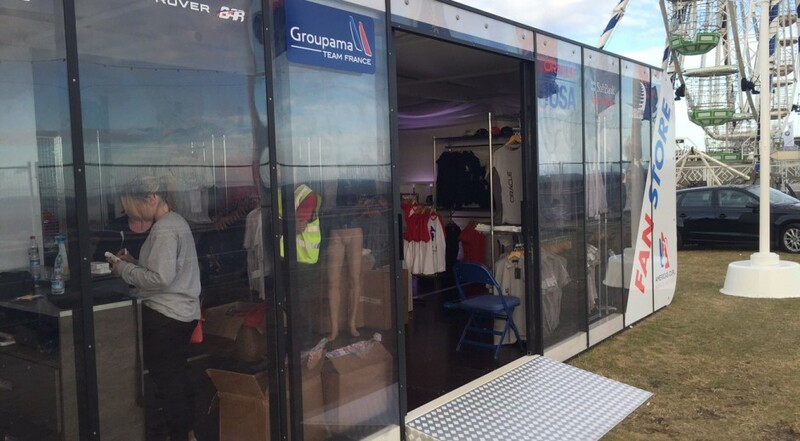 Merchandising has partnered with the America’s Cup, creating and developing the product range for all teams, and is set to manage and provide expo staff for the pop-out stores at Portsmouth. 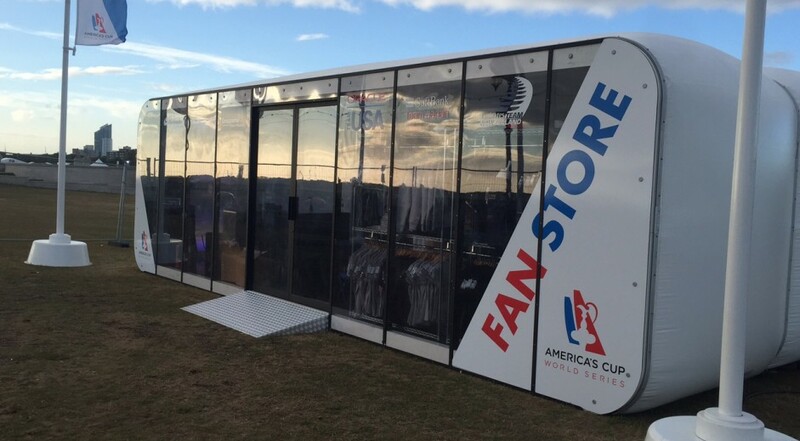 The America’s Cup is a perfect partner for Event, who can draw upon over 30 years of prominent events experience to deliver a product range with the appropriate look and feel which befits the mantra and traditions of the America’s Cup. 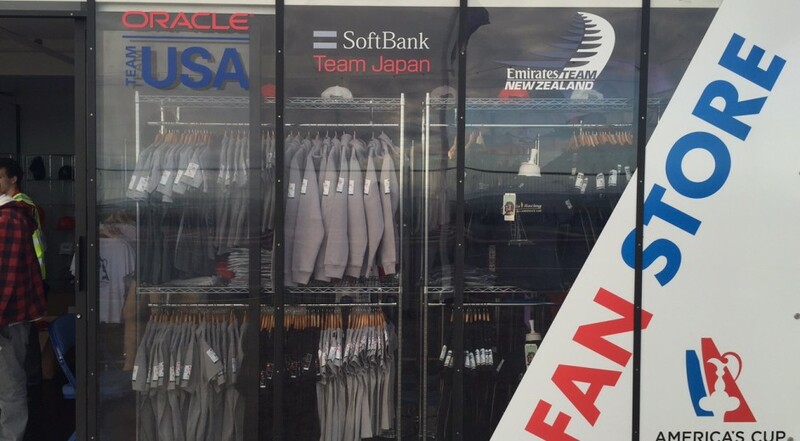 Event Merchandising have over 30 years experience, with particular expertise in providing bespoke merchandise and retail experiences at world class sporting events. We were an official licensee and event retailer for the London 2012 Olympic Games, having worked on designing the product range, supplied the staff, ran the epos and sold the products. Event! Merchandising is also official manufacturer and retailer for the Rio 2016 Olympic and Paralympic Committee casa Brazil Boutique. Other major events the company works with include The Brit Awards, The Rugby World Cup and the Queen’s Diamond Jubilee, as well as work with brands such as Disney and Gucci.